So, it’s my birthday. I’m 43. The name of this blog is now out of date but I might as well keep it. I could have tried to post a picture that represented the celebrations somehow but I didn’t do anything particularly different – although the afternoon was a fun one and spent with friends. 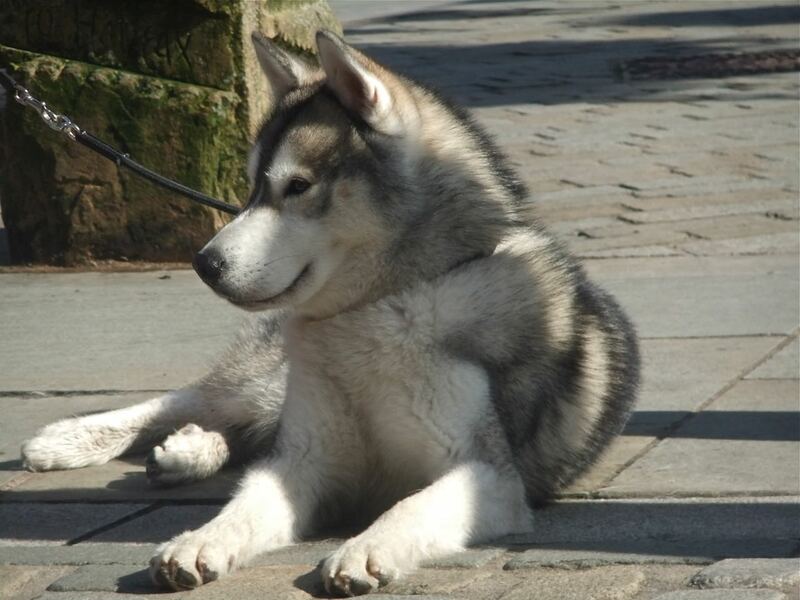 While sitting at the Shoulder of Mutton pub in the centre of Hebden Bridge there was this parade of husky dogs, there must have been some kind of meeting of an owners’ club as they were everywhere. And why not show them off, because they were truly beautiful creatures, and obliging models too. So we’ll start the second year with a picture of one of them.